Catherine Dilts is a finalist for a Derringer Award with her short story, “The Chemistry of Heroes,” published in the Alfred Hitchcock Mystery Magazine (May 2016 issue). The Derringer is awarded annually by the Short Mystery Fiction Society for the best short story in four categories: Flash, Short, Long, and Novelette. Catherine’s story is one of five finalists in the Novelette category. The winners will be announced May 1st. Also, Catherine’s sixth story for Alfred Hitchcock, “Unrepentant Sinner,” appears in the May/June 2017 issue. She is the author of the Rock Shop Mystery series. And…Catherine has signed two contracts to write mysteries in the series, Secrets of the Castleton Manor Library. She is excited to join other authors writing installments in this cozy series, featuring librarian Faith Newberry and her cat Watson, who often helps solve the mystery. The stories are set in a luxurious Cape Cod mansion that hosts literary retreats for book lovers. Catherine is going to enjoy living vicariously in this world as she writes her contributions to the series. For more information, please visit http://www.catherinedilts.com/. Sisters in Crime-Colorado participated in the Pikes Peak Library District’s Mountain of Authors event on April 8, 2017. 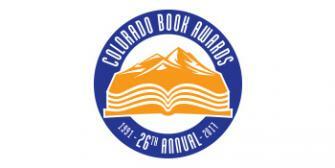 Blood on the Tracks by Barbara Nickless and Stalking Ground by Margaret Mizushima are finalists in the Colorado Book Awards! For more information, please visit the Colorado Humanities & Center for the Book website.